Dr. Suess's Birthday and Read Across America! 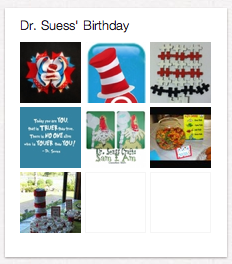 | Pi'ikea St.
Join us on Pinterest as we’re pinning all kinds of fun Dr. Seuss stuff to celebrate! What better way to celebrate Dr. Seuss’s birthday than reading to a child? On the evening of March 2nd (Dr. Seuss’s birthday), Random House and the National Education Association (NEA) urge you to participate in the second annual Read Across America and read to a child.